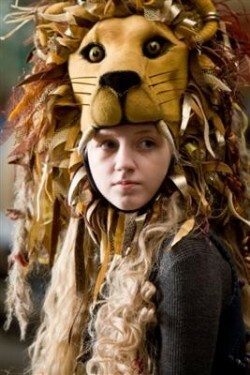 Remember Luna in her lion hat in the match against Slytherin? That was quite a good comic gag, wasn't it? Quirky, weird Luna knew how to make her classmates laugh, whether with her or at her. But rarely does JK Rowling weave in any comic element without layering a subtle level of meaning beneath it. And Luna's hats packs quite a roar. Today is a significant date, is it not? Something special, almost magical, should happen on a day like 11/11/11. Ever since humans started counting, we have searched for and found significance in these units of measurement. Humans as a whole are prone to supernatural thinking, and as we clearly understand the magic of words, so too do numbers hold sway over our minds. Specific numbers have come to symbolize certain concepts in our Western mindset. Consider the forty days and forty nights of the Biblical flood -- a representation of a really long time. Or the completion hinted at through twelve disciples and twelve constellations. Marking time seems to have been the first prompting for humans to count. And with the regular lunar phases, the moon gave ancient people a calendar in the sky. One hypothesis suggests that the 30,000-year-old markings on a bone tool discovered in the Blanchard rock shelter in France represents phases of the moon. Notice how the markings are presented in a serpentine image -- even back then a link was made between the monthly renewal of the moon and the regenerative nature of the snake as it sheds its skin. Coming forward a few thousand years, people continued their fascination with the study of time as they marked numbers and counted astrological events on the passage tombs in Ireland. Note: This picture has been enhanced to show markings stronger. This kerbstone at Knowth is theorized to show either a lunar or solar calendar with certain marks indicating days counted. And we must not forget that good old ancient Ionian Pythagoras (of the triangle fame) who based a whole philosophy based on the universal harmony found in numbers. Rowling uses numbers for magically symbolical purposes throughout Harry Potter. Of course, the most obvious is her use of seven. Seven is the most potent magical number -- seven books, seven years at Hogwarts, and for Voldemort, seven pieces of his soul. But when old Voldy makes a mistake and accidentally splits his maimed soul into eight with the murder of Harry's mum, he shares his Parseltongue abilities and gives Harry an unintentional tool of insight into his mind, which leads to his downfall. Other numbers held power throughout the Potterverse as well. Rowling has said that the Dursley home is at #4 Privet Drive because she never liked the number four. 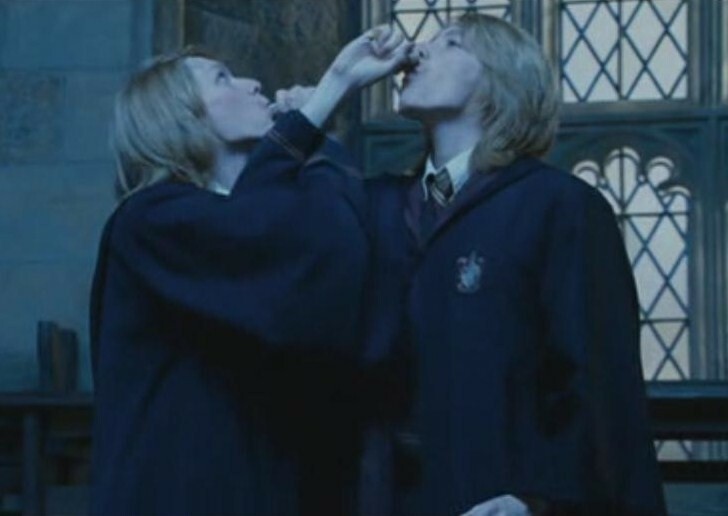 Throughout the series there are numerous references to pairs and mates and the number two -- perhaps hinting at Neville as the second child of the prophecy, or the bound-but-separate dual nature of Harry and Voldemort's nature. And perhaps drawing upon Biblical ideas of twelve companions of Jesus, the home in which the Order of the Phoenix first comes to life is at Number 12 Grimmauld Place, where when 13 sit down to dine Harry's first night there, the one who rises is the first to die -- Sirius. And thirteen is the chapter all of the early books in which Rowling chose to give her hidden villain a cameo appearance (a post for another day!). Using numbers to hint at deeper meanings is just one tool we as authors can choose to employ in our stories -- if it fits our story and our style. However, it's good to know that if we choose to, we'll be using a magical tool employed by keepers of time for millenia. I'd love to add more instances to this post of numbers used magically or symbolically both within Potter and ancient times. Can you spot some more? Have you used numbers to convey deeper meaning within your own story? Please share in the comments if you have! Blanchard bone picture photo credit. More on the Blanchard bone markings. I bet many of you deep in NaNo are still struggling with the name of your main character or secondaries. And those of you writing fantasy may be racking your brain to come up with words for your unique creations. If there's one thing that JK Rowling excels at (and there are many) it's creating words and naming characters that hint at their inner truth. In fact, early in the Potter craze, Galadriel Waters of Wizarding World Press coined the term "Rowlinguistics" to characterize all these delightful new words and names. In almost every chapter of her Ultimate Unofficial Guides to the Mysteries of Harry Potter came the subheading of Rowlinguistics where she explained the possible origin of any new words or names presented in that chapter...and there always seemed to be new ones. Rowling's creative imagination knows no end. One of the first types of clues that fans latched onto when the Potter series was brand new was the meaning behind the names. Indeed, the first fansites were mostly an accumulation of names and their possible origin and meaning. Rowling liked to work with flowers (Petunia, Lily, and Fleur), stars (Sirius, Regulus, and Bellatrix), and especially mythology (Minerva, Remus, and "Argus" Filch). But even more thoughtfully, Rowling created new words, sometimes through a simple twist in spelling (Knockturn Alley for nocturnally) , or through a combination of old English (Grimmauld = grim + auld for old) (Dumbledore - old English for bumblebee), or foreign words (Vol-de-mort = flight from death). Perhaps her most complex creations were by way of a portmanteau - a blending of two words to form a uniquely new one. Examples of these include Gringotts (gringou [French for miser] and ingot), Umbridge (umbrage and bridge), and Durmstrang (Sturm und Drang). As writers, we spend a lot of time making sure we choose just the right name for our beloved characters. Names and words created with a fresh spin can intrigue your reader and point to your deeper secrets. But, beware, if not done with skill, they can just look awkward, or worse, cliched. I'd be careful of naming a YA heroine Lilith, for example, or any play on Persephone. And anything that makes the reader stumble, like Gilga'de'Ore, is probably not the best choice. And, of course, you'll want to consider names appropriate to your time period or culture. What names or words have you created for your current story? And which of Jo's creations did you find the most appealing? It's one trick to manifest exactly what you want. It's another to bring about something even better. It stuck with me all day and really got me thinking. To me, this quote speaks of enlarging our possibilities, of opening the door to imagination, of believing in serendipity. As writers of fiction, we are doubly cursed, or blessed if I'm going to learn from the above. Not only must we attain what seems impossible in our own lives, which surely characterizes publishing in today's market, but we must create characters who succeed beyond the ordinary in every story that we write. That's one reason why I think so many of us find JK Rowling's story so inspiring. She attained the impossible not only in her life, but also in her creation. And she did it both times in a manner uniquely her own. She opened doors no one thought possible to go through. While her welfare mom makes it big story is definitely inspiring, and certainly shows a woman who succeeded beyond the ordinary through utilizing her imagination to the best of her ability, what I'd like to focus on here is how she challenged Harry to attain the impossible in his defeat of the darkest wizard of his day. Harry did NOT kill Voldemort. Contrary to how most writers will execute their triumphant climax of hero defeating arch-villain, Harry did not cast a killing spell that ended Voldemort's life. What killed Voldy was his own rebounding killing curse which he shot because he did not understand what this 17-year-old kid had learned. And that's the beauty of Jo's spin. There is the difference of how opening the door of imagination attained the impossible for her character. 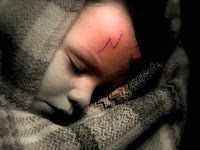 Here was a kid, a boy who was never the best in his class, who did not have the happiest, most secure home life, who did not start off with the most impressive magical abilities, but who through no fault of his own was thrown into a course of action where he must kill or be killed. 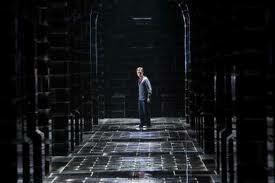 Harry accepted that he must meet and defeat a wizard renown for his potent skill and merciless dark magic. Not only that, this wizard had managed to attain the most powerful killing stick in the world. And yet, in the end, Harry did not meet the Dark Lord as an equal. Harry met him as a superior, in his own terms, playing the game in a way others had discouraged. And that was not to cast a killing curse, but merely to disarm. Because Harry had learned through the course of his intensely tortured and personal journey the meaning of loyalty, love, and choice. He had won the loyalty not only of the Wand of Destiny, but of all his friends and companions at Hogwarts who fought by his side. Harry had learned to harness the power of love to not only forgive the man he'd believed had lived to torment him, Snape, but to offer Tom Riddle in his last breathing moments the opportunity to find remorse and live. And Harry had accepted his choice to not only walk into the Dark Forest and offer his life so that all those he loved, and even those he didn't even know, would live -- but to choose in that final confrontation to cast a spell to disarm the evil rather than kill the man. Harry attained the impossible. And JK Rowling, Harry's creative goddess, provided her young readers a powerful lesson in choice and creating their own destiny. But for us writers, she has also gifted us with wonderful examples. She had no idea when she was living on the dole in Edinburgh as a young mother spinning out her story that she could not contain, that she would attain the impossible in her own life. But she persevered, she stuck to her dreams, she committed to a young orphan that she believed in, and with hard work and growing skill, and a touch of serendipitous luck from the universe, she cast a spell that disarmed the world. The goals we attain may not play out along the massive scale of a Rowling or a Potter, but that doesn't mean they will not be as equally powerful in our own lives. As long as we keep working toward what we most value...and as long as we open the door to the impossible along the way. As you're working toward your final climax in your novel this month, take time to consider...Is your character attaining the impossible? How challenging have you made his goals? How difficult have you created her opposition? And in the end, have both you and your hero left the door open for an opportunity, a choice, you never thought possible? A most excellent post from Veronica Roth on YA Highway today called Humor, Contrast, and Harry Potter inspired me to offer you a sampling of some of my own favorite funny moments from the series. Veronica does an excellent job of explaining why JK Rowling's sense of whimsy worked so well in a series that touched on serious themes and darkened as it progressed. I recommend that you hurry over there, after reading here of course, and enjoy her insight. "Oh, are you a prefect, Percy? You should have said something, we had no idea." "Now, you two - Behave yourselves. If I get one word that you've blown up a toilet or -"
"Great idea though, thanks, Mum." "I let you sleep in my bed!" he said. "Professor Dumbledore - yesterday, when I was having my Divination exam, Professor Trelawney went very - very strange." "Indeed?" said Dumbledore. "Er - stranger than usual, you mean?" "It was," Fred whispered to Harry as they got up from the table. "We sent it." A week after Fred and George's departure, Harry witnessed Professor McGonagall walking right past Peeves, who was determinedly loosening a crystal chandelier, and could have sworn he heard her tell the poltergeist out of the corner of her mouth, "It unscrews the other way." "Hello, Harry," said George, beaming at him. "We thought we heard your dulcet tones." "You don't want to bottle up your anger like that, Harry, let it all out," said Fred, also beaming. "There might be a couple of people fifty miles away who didn't hear you." "We're not discussing anything here, it's too risky," said Moody, turning his normal eye on Harry; his magical eye remained pointing up at the ceiling. "Damn it," he added angrily, putting a hand up to the magical eye, "it keeps sticking - ever since that scum wore it - "
"Mad-eye, you know that's disgusting, don't you?" said Tonks conversationally. "When we were in Diagon Alley," Harry began, but Mr. Weasley forstalled him with a grimace. "Harry, please. You're talking to the man who raised Fred and George." "What are you doing with all those books anyway?" Ron asked. "Just trying to decide which ones to take with us," said Hermione. "When we're looking for the Horcruxes." "This is different, pretending to be me--"
"Well, none of us really fancy it, Harry," said Fred earnestly. "Imagine if something went wrong and we were stuck as specky, scrawny gits forever." Have you used humor in your story? Humor is an essential mechanism for how we humans cope with life, even the most negative side. As Veronica so wonderfully points out, it's an important element that needs to be included in our stories. But it is best served up when it flows naturally from the characters rather than forced from the author. I'd love to hear examples of how you've used humor in your own WIP. Or tell me one of your favorite funnies from Harry Potter! As it's day 6 of NaNo, and many of you have been hard at work at your keyboards, I'm imagining that you might be getting a bit hungry right about now. How would you like a handful of cockroach clusters? Don't find that appealing? Then maybe a bagful of blood-flavored lollipops from Honeyduke's? Or, for those who prefer something homemade, there's always Hagrid's treacle fudge -- I hear it will really stick with you. If not, then maybe some of Mrs. Weasley's chicken and ham pie will hit the spot. 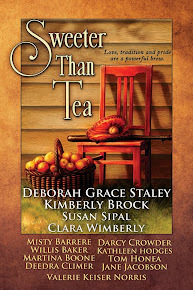 "The author always included details of what her characters were eating and I remember liking that. You may have noticed that I always list the food being eaten at Hogwarts." Indeed, JKR uses her food not only to flavor her world, but to also show characters' personalities, such as Hagrid's rock-hard rock cakes, which he loves. 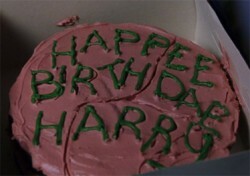 She even uses food to hide clues, such as Dumbledore's chocolate frog card. Readers have had so much fun with Jo's creations, that fansites include fan-created duplicates, and there are even published cookbooks with recipes from her world. Weaving specific food mentions into our stories may not suit every genre or every story. Some books may be too fast paced for anyone to stop and take a bite of food -- but then, surely, that lack would play a role in the story itself. However, most of us will have our characters eating at some point. How much thought have you put into these bites? Have you used these opportunities for further world building and character development? Does your menu selection help to define your characters or maybe even hint at a clue for a mystery to come? Putting some thought into the food our characters eat is a great opportunity to have a little fun with our world and our people. Don't let this opportunity go to waste. How have you used food in your world? I'd love to hear of any unique food you've created for your story. Sorry I missed posting yesterday. My family had a yard sale, and after it was all over and done, I was too wiped out to get online. Although I had planned to do a post today on food, a comment in yesterday's post from Farida Mestek made me think we needed a follow-up on world building. Food will come tomorrow. UPDATE: I realized after posting this that I hadn't made one point clear. I'm assuming with the post below that a writer has already blocked in their large picture view of world building, and what I'm addressing are the details that sometimes only surface once the writing actually begins. Farida points to a problem many writers face, especially when writing at the frantic pace NaNo pushes us to -- how much time do you devote to crafting the details of your world, especially when you are in writing mode rather than editing? For many writers, when we are writing the first draft of our stories, we want the ideas to flow as freely and quickly as possible. We don't want to impede this creative process by stopping to analyze every word choice and world building detail. Indeed, this is part of the aim of NaNoWriMo -- to set your writing at such a fast pace that it pushes you into pure creation, past any barriers, and hold off the analytical editing for another day. But world building involves both sets of skills -- creating and editing. Not only do we need to come up with intriguing fresh ideas to flesh out our world, but we need to analyze how they fit and in what shape. How much of this you do at any stage of the writing process depends on how important that bit of world building detail is to your story. Here's a simple guideline, but it works for me -- if you cannot go forward until that piece of your world is fully fleshed out, if the determination of what shape it takes will change the course of what comes afterward, then by all means take the time to stop and get it right. However, if you know where you're going after this detail is worked in, and while it is important it serves mainly as flavor enhancement, then insert some sort of place holder in your manuscript to remind yourself to come back to it and move along. Not only is this an effective use of your time, but my experience has showed me that these detailed items quite often spring forth more naturally once I've rested on them a bit. In other words, if I keep on writing, as my world comes more fully alive, when I go back to read, I'll know instinctively how to flesh out that detail that stumped me earlier. Or, quite often, while my mind is at rest, such as when driving, trying to sleep, anywhere away from the computer, it will suddenly come to me...and then I'm scrambling to find paper. For examples from Harry Potter -- Of course I cannot know what went through JK Rowling's mind when creating the story, but I would guess that important aspects of world building such as the location and structure of the Ministry of Magic in Order of the Phoenix was created before she got into the actual writing of those scenes. However, I would not be a bit surprised that the important but less critical detail of the brains swimming in a tank in the Department of Mysteries was a later addition, perhaps even during a revision. 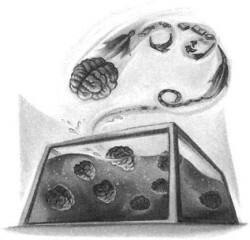 Does this mean that the Brain Room was a throw-away bit of world building? Not at all. Those tendrils of thoughts that shot from a brain and wrapped around Ron and caused him some mild damage are important reflections of the theme of the power of beliefs and the choice in accepting or rejecting them which JK Rowling weaves throughout her text. Details like this, when given meaning that relate to the whole, greatly enrich the reader's experience. But, in crafting the work, it's not one that the rest of the story thereafter hinged upon. So, don't stress all the details when you're trying to write. And definitely don't use research as an excuse to keep you from creating. I hope your NaNo writing is going well. Mine is slow, but my goal is not to get to the 50,000 word count, so I am fine with that. My goal is to simply break through to new ground in the second book of a series I am working on. If you want to friend me, I'm SPSipal on NaNo. 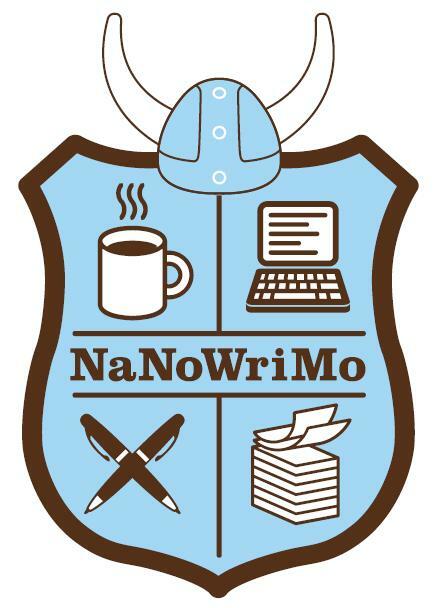 How is your story going for NaNo (or otherwise)? Have you been keeping a pace you're happy with? If not, what's been slowing you down? How Deep is Your Department of Mysteries? World Building. We all do it, even those of us not writing fantasy or science fiction. And as most of us are probably at an early stage in our NaNo novel, many may be facing some world building dilemmas about now. How much world building do you include in a story, especially in the beginning? Of course, JK Rowling is quite famous for hers. 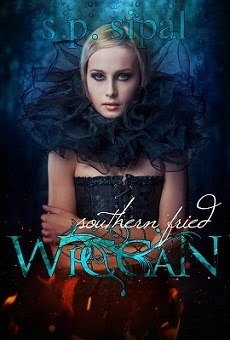 Indeed, her highly detailed world building is one of the prime elements that made her series such a phenomenal success. Her readers loved the exquisite detail of her world and wanted to play within its virtual reality again and again. For one example, let's look at the office building for the Ministry of Magic and in particular the Department of Mysteries which we first visit in Order of the Phoenix. Although located in the government region of London, the Ministry of Magic is, like many aspects of the magical world, the inverse reflection of the Muggle. Inside the MoM, witches and wizards arrive via fireplaces rather than revolving doors, and memos are sent as bewitched flying papers. Floor levels descend deeper underground as they rise in number, with floor nine of the Department of Mysteries and ten containing the courtrooms at the lowest levels. And inside the DoM, Unspeakables carry on their important but secret work exploring the deepest mysteries of magic in the Brain Room, the Time and Love Chambers, the Hall of Prophecy, and the Death Chamber. But will that level of detail work for YOUR story? This all depends on the nature of your story and genre. But bottom line, your setting should enrich your story, and now, at the beginning, as you are lumping clay onto your potter's wheel, is the best time to define and deepen the world in which it is set. Where will my main character need to go in the course of this story? Who will he need to interact with? How and where do these people work for a living? How do they get their news? Their daily necessities? Their medical care? Their schooling? What characteristics sets my world apart? Makes it unique? And how it is seen through my MC's eyes? What laws (Muggle or Magical) govern this world? How and where are my secondaries interacting with each other when my MC is not around? If you're planning a series, where might your MC need to go in future books? What does the nature, the geography look like? What are some key bits of detail that you can weave into your setting description to breath it into full life, to hint at the deeper themes of your novel, and to delight your reader? How well you define your world may very well determine to what depth your reader will want to live in it. Because when it comes to world building, the Dark Lord's in the details! I'd love to hear some examples of scene setting and details that you're already working into your story! Also, what key questions do you consider when building your world that I have not included above? "These people will never understand him! He'll be famous--a legend--I wouldn't be surprised if today was known as Harry Potter Day in the future--there will be books written about Harry--every child in our world will know his name!" When JK Rowling put pen to paper to craft McGonagall's words in the very first chapter of Philosopher's/Sorcerer's Stone, she had no idea how prophetic they would become. Now millions of people around the globe know the name Harry Potter and, indeed, celebrate Potter Day both on July 31 and October 31. But once, just like many of us, Jo was an unknown, unpublished writer who had no idea if her story would even sell, much less become a world-wide publishing phenomenon. As she said herself when asked if she'd known how successful her series would one day be, "I'd have to have been insane to have imagined this." And that was in the year 2000! Somewhere out there in NaNo land, one of us may very well be writing a story that one day will become a well-beloved story where millions of people will know our name. Or, at least several thousand. And even if such lofty goals are not in our sights or even in our hearts, by putting our own pens to paper or fingers to keyboard for this month of November (and after), we can at least discover for ourselves and our friends the delightful figments within our own imagination. 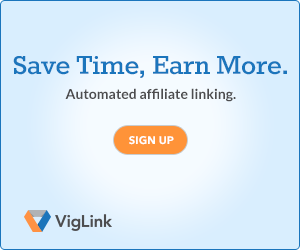 What are your loftiest goals? In your wildest dreams, what do you hope for your story? And in your more modest expectations, will you be happy having discovered and shared your inner world with any sized audience? In order to keep me focused on completing National Novel Writing Month this year, and to keep this blog going while I do so, I've decided to do something a wee bit different with Harry Potter for Writers during the month of November. Instead of my normal long (and sporadic) in-depth analyses, I'm going to post very short excerpts from Harry Potter or quotes from JK Rowling that makes one succinct but strong point to serve as inspiration for those of us doing NaNo. The trick is, I'm going to post these daily. 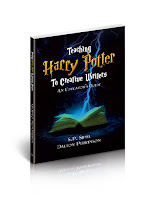 The tips may be craft related, examples of good writing from the series, or quotes that give insight into JK Rowling's writing process. Anything goes, but I'll keep them short and pointed so that we can gain the encouragement but hurry back into our stories. I think it fair to say that by any conventional measure, a mere seven years after my graduation day, I had failed on an epic scale. An exceptionally short-lived marriage had imploded, and I was jobless, a lone parent, and as poor as it is possible to be in modern Britain, without being homeless. The fears that my parents had had for me, and that I had had for myself, had both come to pass, and by every usual standard, I was the biggest failure I knew. Now, I am not going to stand here and tell you that failure is fun. That period of my life was a dark one...So why do I talk about the benefits of failure? Simply because failure meant a stripping away of the inessential. I stopped pretending to myself that I was anything other than what I was, and began to direct all my energy into finishing the only work that mattered to me. Had I really succeeded at anything else, I might never have found the determination to succeed in the one arena I believed I truly belonged. I was set free, because my greatest fear had been realised, and I was still alive, and I still had a daughter whom I adored, and I had an old typewriter and a big idea. And so rock bottom became the solid foundation on which I rebuilt my life. Rowling's story, both in Harry and in life, is truly inspirational. Especially to writers. If you have not yet, you should read her whole address as she also speaks powerfully of imagination. As we begin this fresh month of NaNoWriMo, let us not be afraid to fail, but afraid of never having tried. And remember that the length is not as important as the content. Find me on NaNo at SPSipal. Are you doing NaNo? If so, what story are you writing? 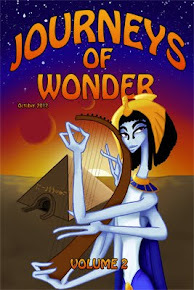 And thanks to Martina @4KidLit for the title of this series!